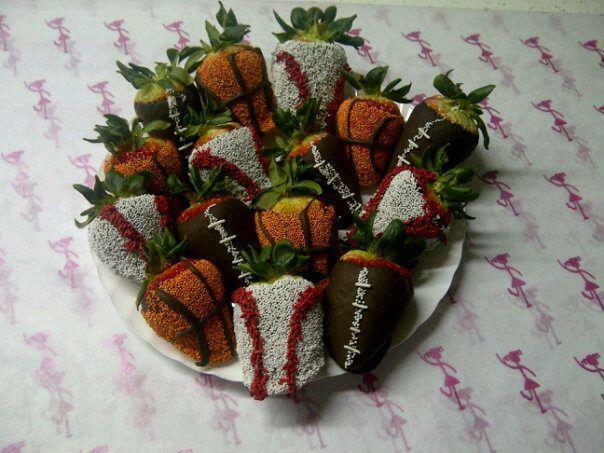 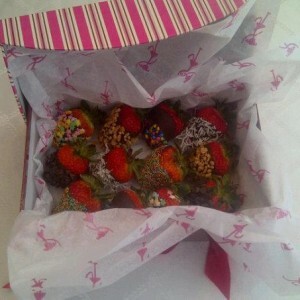 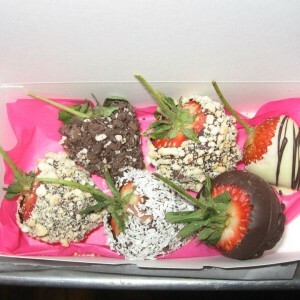 Categories: Chocolate, Chocolate Covered Fruit, Chocolate Dipped Fruit, Red. 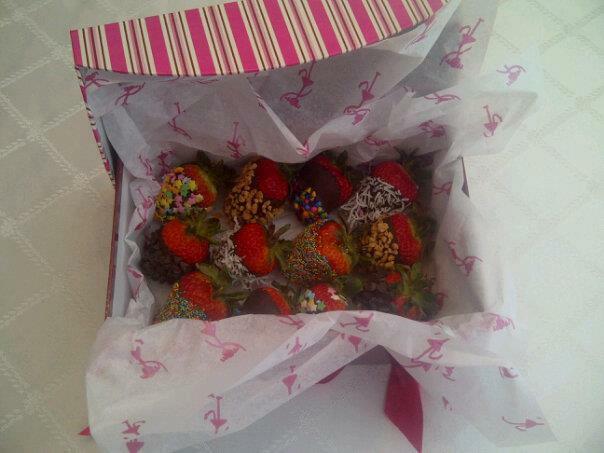 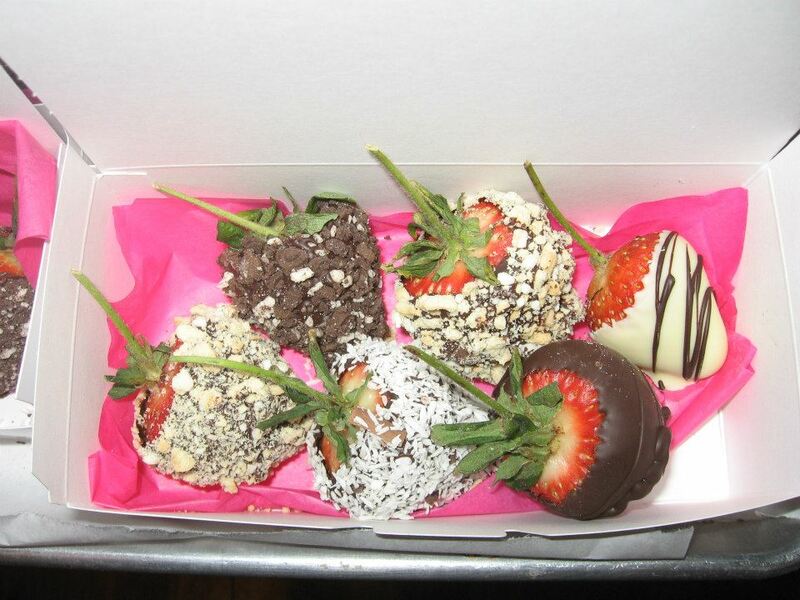 Tags: belgian chocolate, chocolate, chocolate dipped, decadent, dipped berries, fresh strawberry, fun, glazed fruit, gourmet, hand dipped, katz, strawberry. 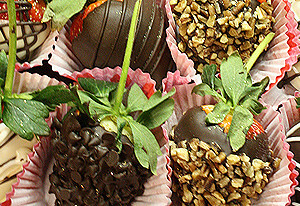 Fresh Strawberries hand dipped in The Chocolate GIRL’s, rich blend of Dark Belgian Chocolate and rolled and drizzled in a variety of fun, scrumptious toppings. 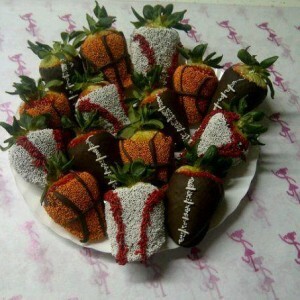 *each strawberry is carefully cleaned and inspected.